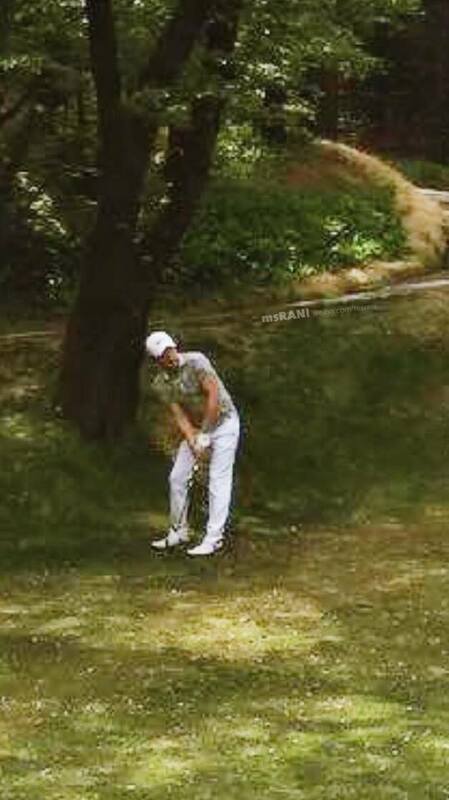 Golden Blue CEO Kim Dong-wook posted a photo of JKS playing golf at the Namseoul Country Club in South Seoul. gbdongkim AP's wonderful approach shot! So...a little back story is needed here. 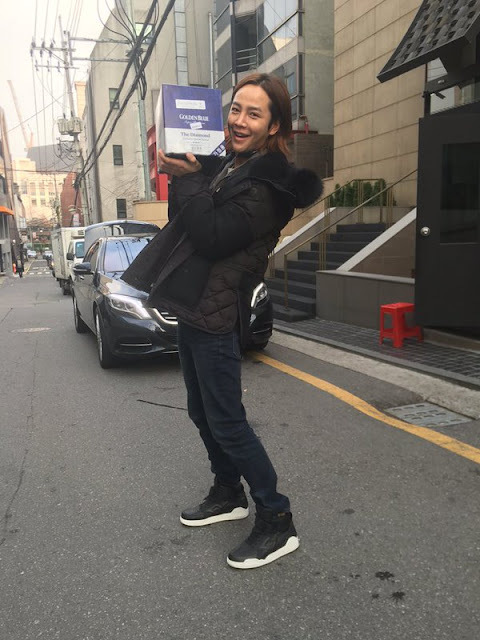 On December 24, 2015, JKS posted a picture to his Twitter account of himself grinning and holding a case of Golden Blue whisky. 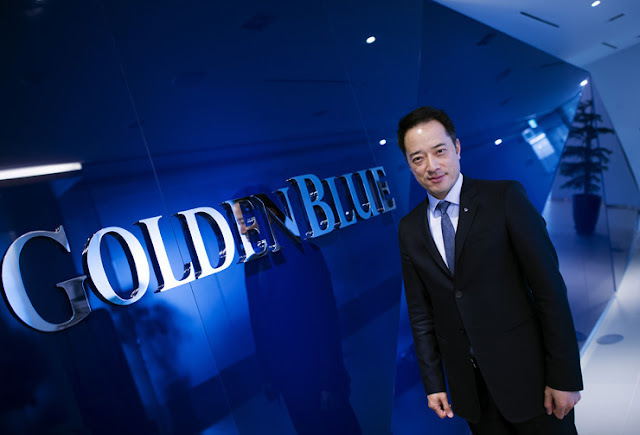 He received the case of Korean made Golden Blue whisky as a Christmas present. He wrote, "Golden blue is the love!" Whether the two men became friends after JKS received the gift or knew each other prior to receiving the case of whisky is anyone's guess. However, it's probable the two got along quite well since they both appear to share similar values and interests, particularly golf, whisky and traveling. Oh, and taking care of employees as well as scholarships.